Today the feedback given by simulation instructors to trainees is based on observation and opinions that will variate from professional to professional. 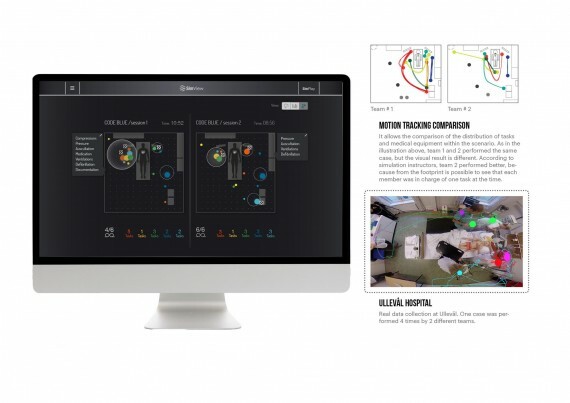 This tool is a software innovation in Laerdal’s current video debriefing system, which collects data and then conveys it visually to show the faults and strengths on the performance and behaviour of the team during the scenario. – Closed loop communication missed or achieved (medical language that consists on confirming what one heard before executing the procedure). This solution optimise the current medical simulation process, by setting guidelines to enrich the dialog during the debriefing session, it points at specific areas of improvement and allows the instructor to give more appropriate and concrete feedback. In conclusion, SimPlay optimises the current process of medical simulation, but at the same time it also optimises the process of collecting valuable material (via the platform) to provide insight on the right way of solving different medical cases.